Over 50 per cent of university graduates in Iran are young women. Ironically, more than 60 per cent of the country’s 9.5 million illiterates are also women. On the International Literacy Day, September 8, the situation of illiteracy among Iranian women and girls merits attention. Education is mandatory and free in most countries of the world for 6-14 age group and UNESCO has underlined the need for mandatory education for children. With some 9.5 million illiterates, Iran ranks 120th on the world’s literacy scale. Bagherzadeh also confessed that the criterion for literacy in Iran is still the sole ability of reading, writing, and counting, whereas in other countries, this criterion has improved to include much more. The clerical regime’s economic bankruptcy is a factor contributing to illiteracy. In the past few years, Rouhani has ordered shut-down of many schools in rural communities as a way for budget cuts. The regime has also been gradually expanding its demands for tuition from students and their families, further contributing to school dropouts. University students have been protesting such demands by universities. Masters students of the University of Orumiyeh held a three-day protest, February 14-17, 2018, against the policy of demanding tuition from students. On May 9, 2018, the students of Orumiyeh University spread empty tablecloths on the ground in protest to a plan for charging students for course units. Orumiyeh is the capital of West Azerbaijan, in northwestern Iran. Students of Tehran’s Allameh Tabatabaii University staged a protest on April 29, 2018, and spoke out against the policy of Rouhani’s government to obtain tuitions from college students. They held placards which read, “No to college tuitions”, “Allameh U is an economic firm”, etc. Students of Tehran’s University of Art also held a protest on February 17, 2018, against the policy of receiving tuition from students. Statistics on literacy or illiteracy in Iran are both scarce and not accurate. Regime officials usually provide contradicting figures, mainly to play down the gravity of the situation. Whereas earlier, the Parliamentary Research Center had published the figure of 4 million for the number of school drop-outs in 2015. According to Iran’s Statistics Centre, there were 9,483,028 illiterates in Iran in 2011, 6,250,965 of whom were women, which is approximately two-thirds of the total population of illiterates. Every year, at least a quarter of Iran’s students are forced to quit school with a large number of them joining the children of labor, whose population is estimated to be around 3 to 7 million today. The number of girls dropping out of school in western Khuzestan Province and other cities on the Iran-Iraq border has been reported as alarming. According to a report published in 2015 by the presidential Directorate on Women and Family Affairs, the illiteracy of women and girls in Iran is alarming and the situation is critical in some 40 cities. 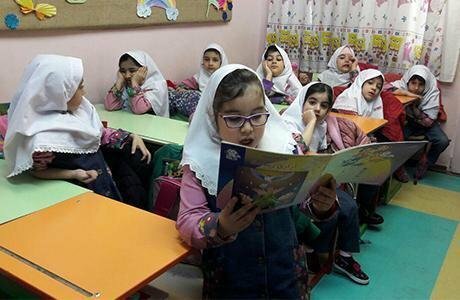 The director of the Education Department of Dezful, located in Khuzestan Province in southwestern Iran, said, girls comprise 60 per cent of 500 students who have been deprived of going to school over the past three years. Hormozgan province in southern Iran has 14,000 school drop-outs. In spring of 2015, the Director of Education in Western Azerbaijan reported 1,500 cases of school drop-outs. On January 7, 2016, he indicated that there has been a 6-fold increase in the number of drop-outs since last year. Not only girls are dropping out of school in Iran’s disadvantaged provinces, but Tehran and its surrounding cities are also experiencing an increased rate of female drop-outs. In October 2015, the director-general of Tehran’s Department of Education disclosed that 25,000 school-aged children in this city are working instead of attending school. In some Iranian provinces, the percentage of illiteracy is over 30 per cent and a considerable number of children under 17 do not have the opportunity to continue their education. The parents of most of these children are illiterate, themselves, and there is a meaningful correlation between the level of education of parents and children who drop out of school. Poverty of families and not affording to pay for their children’s education, child participation in the family’s economic activities, seasonal immigrations, and lacking registered birth certificates, are among the reasons children are deprived of going to school. These reasons are more acceptable among families when it gets to girls. Mixed-gender high school classes are also among the reasons girls have to quit school in some regions. In some provinces, early marriages prevent girls from continuing their education and many families need their daughters to help them in earning the family’s income. An administrative clerk in a village in Khuzestan province said, “About 50% of boys and almost all girls have no choice but to drop out of school because there are no middle schools here.” There are currently no girls’ high schools in the city of Hoveyzeh. Amongst the 40 villages in this region, there are no schools dedicated to girls, as a result of which the majority of girls have been compelled to leave their education. Saravan’s deputy reported to a meeting in the Parliament on December 14, 2015, that “coed high-school classrooms and poverty” were among the main causes of girls dropping out in this region, also located in Sistan and Baluchestan Province, in southeastern Iran. According to the state-run ANA news agency, girl children in the Herandi district of Tehran cannot continue their education due to the corrupt social atmosphere in that area, namely the large number of addicts and people who sleep on cardboard boxes in the streets. The girls cannot even leave their homes. Shortage of resources leads to Iran’s nomad students dropping out of school. Mohammad Reza Seifi, director of the Office of Nomads’ Education, said this and added that between 46 to 50 per cent of nomad students drop out of school after finishing their elementary education. The main contributor to women’s illiteracy, however, is the regime’s outlook on women. The mullahs believe that homemaking as well as bearing and raising children are the main responsibility of a woman. The Iranian regime’s officials followed suit, describing the Education 2030 document as a “disgraceful” document “bearing a colonialist content” which manifests “one of the most bitter examples of infiltration” and promotes “educational transformation”, “elimination of sexual stereotypes”, “gender equality”, and “global citizenship”, causing grave “security” concerns. On June 13, 2017, the Supreme Council of Cultural Revolution (SCCR) meeting presided by the mullahs’ president Hassan Rouhani decided to stop implementation of the agenda in education. Such hysterical opposition to the Education 2003 Framework for Action and the Agenda 2030 by the clerical regime, is because the document obliges all state parties to observe gender equality and equal opportunities for all individuals which include women and girl children and thus target the heart of Iran’s ruling fundamentalist regime.